Want My Best Abdominal Exercises? And a Free Ab Workout Routine? Many people have been asking me my thoughts on the best abdominal exercises, so here they are. And just for fun, I am giving you a free ab workout routine to put these exercises to work for you today! And I completely get it. Six pack abs. Everybody wants em. Man or woman. A ripped midsection has become the symbol of health and beauty. They are a lofty goal to be sure. But an attainable one for those willing to commit and work. I know that diet and cardio is extremely important to getting six pack abs. But I want to make sure I am doing all the right exercises to make sure that muscle underneath my last layer of fat is ready for prime time! What do you consider to be the best abdominal exercises so that I am ready to shine when beach season hits? Kane, yes, the elusive six pack abs. Sounds like you feel that you are close to achieving that goal. Congrats! Yes, I can definitely recommend a few of my favorites, but as with anything else, whether or not they are the best abdominal exercises will be always be left up to debate on the interwebs. However, before we go further, I want to reiterate something you said to everyone reading this reply: Shedding the layer of fat that covers your 6-pack abs will do more for your midsection than any amount of crunches you can do. Let me put that another way. It doesnt matter that you can do 543,327 crunches. If you have a layer of fat covering them, no one will ever see those muscles. Period. I dont care what the late night torture contraption of the week infomercial says. I really dont. Unless you shed that fat, you can spin, twist, sit up, sit down... it wont matter to your overall look. So, what do I consider to be the best abdominal exercises? I am going to give you my top 3, with a picture and a description to help you out. Heck, Ill even put together a quick workout using these three by then end of this, so be sure to read to the end to get the workout. 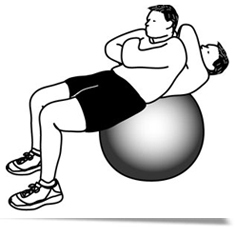 Start by lying face up on a Swiss ball (commonly also referred to as an exercise ball). Both of your feet should be flat on the ground in front of you. 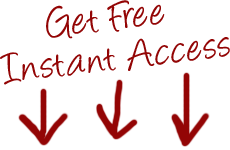 You can place both hands across your chest, as shown in the picture at right, or, for an added challenge, you can place both hands behind your head. Now, contract your abs to pull your upper body up a few inches. Hold this position by squeezing your abdominal muscles, and then lower yourself slowly back to the starting position. Locate the captains chair apparatus at the gym (if you have no idea what that is, check out the picture on the left). Now, stand on it, pressing your back firmly against the back pad. Allow your forearms to rest on the arm pads and grab the handles. At the point, your legs should be hanging freely below you, with your weight fully supported by your arms. Keep your upper body still as you pull your knees up toward your chest by contracting your abs. Hold the position by squeezing your abs for a count of 1 and slowly lower your legs back down to the staring position. 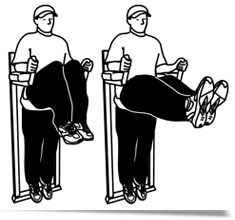 Be careful not to swing your legs for momentum - you want to make sure you abdominals to do the work. Otherwise, this wouldnt be one of the best abdominal exercises, would it? For an added challenge, keep your legs straight as you contract your abs. This one is deceptively hard. Start by getting into the push up position. Now, lower yourself slightly until you are resting on your forearms instead of your hands (check out the picture at right). Keep yourself taught - back straight and abs tight - and hold this position for the time required by your workout. This can range from a 10 count to 60 seconds. So there you have it, my choice for the best abdominal exercises (and a free ab workout workout routine to boot! ).